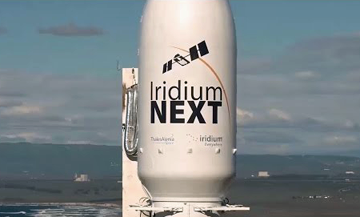 Iridium Communications Inc. (NASDAQ: IRDM) has announced that all 10 Iridium® NEXT satellites for the company's fourth launch are now being processed at SpaceX’s west coast launch site at Vandenberg Air Force Base in California. This launch will mark the midway point of Iridium’s launch campaign with SpaceX and is the first of two Iridium NEXT launches using “flight-proven” SpaceX Falcon 9 rockets. Iridium-4 is currently scheduled for December 22, 2017, at 5:32 pm PST, with a backup date of December 23rd. Image is courtesy of Iridium. Noteworthy for the fourth launch, the same Falcon 9 rocket first stage that carried 10 Iridium NEXT satellites for the company’s second launch in June of 2017 will also carry this payload of 10 satellites. This will make Iridium the first company in history to reuse the same rocket. Upon arrival at the launch site, each Iridium NEXT satellite began a number of pre-launch processing steps, including mating to the dispenser, fueling and encapsulation within the fairing. The satellites were shipped two at a time, in specially-designed motion and temperature-controlled containers designed to maintain optimal environmental conditions. The operational Iridium constellation is comprised of 66 satellites divided into six polar orbiting planes with 11 satellites in each plane. Destined for Iridium orbital plane two, nine of the 10 Iridium NEXT satellites deployed during this launch will immediately go into service following rigorous testing and validation. The remaining satellite will undertake a nearly year-long journey to orbital plane one, where it will serve as a spare satellite. To date, three Iridium NEXT launches carrying 10 satellites each have been completed. The fourth launch will bump the total number of new Iridium NEXT satellites in orbit to 40. Iridium has contracted with SpaceX to deliver 75 Iridium NEXT satellites to orbit, 66 operational and nine on-orbit spares, through a series of eight launches. 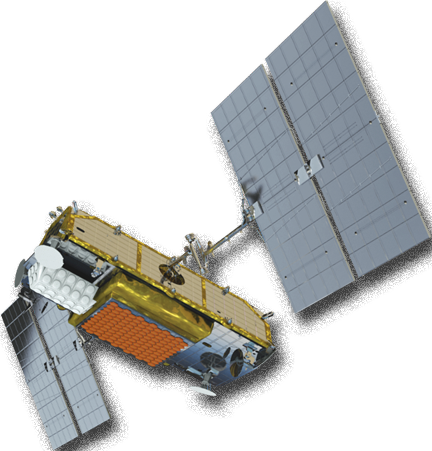 Iridium NEXT is the company’s $3 billion next-generation mobile, global satellite network scheduled for completion in 2018. Iridium NEXT will replace the Company’s existing global constellation in one of the largest technology upgrades ever completed in space. This network represents the evolution of critical communications infrastructure that governments and organizations worldwide rely upon to drive business, enable connectivity, empower disaster relief efforts and more. Iridium NEXT will enable and introduce new services such as the Company’s next-generation communications platform, Iridium CertusSM, and the AireonSM space-based ADS-B aircraft surveillance and flight tracking network. Iridium CEO Matt Desch said that the company is approaching the halfway point on this journey, and with each launch, more momentum is gained. This launch will bring the firm to 40 Iridium NEXT satellites in space, which is more than half the number required for a full Iridium NEXT operational constellation. 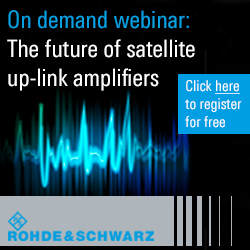 Witnessing the increased speed, capacity and throughput of this network has been remarkable, as the company continues to replace original satellites with the new Iridium NEXT satellites.